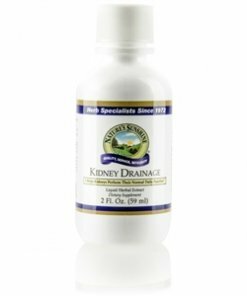 Nature’s Sunshine Kidney Drainage supports the kidneys as they work to filter fluid from the bloodstream. 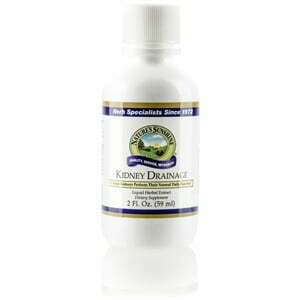 Kidney Drainage includes herbs that help the kidneys eliminate toxins and waste. Asparagus officinalis, plaintain leaf, juniper berries, and goldenrod assist in removing fluid, maintaining proper fluid balance, and increasing urine production. Instructions: Take 1 ml, approximately 15-20 drops (1/4 teaspoon) in water twice daily. A natural and pure extract composed of the finest asparagus tops (Asparagus officinalis), plantain leaves (Plantago lanceolota), juniper berries (Juniperus communis), and goldenrod aerial parts (Solidago virgaurea) in vegetable glycerin.